It can be the most exciting time when you first get your broadband router. Whether it comes through the post or is setup by the network engineer, the Wi-Fi router is your window to the internet. You may have been sold super-fast broadband through fibre optic, or you may be on ADSL. Whichever the case may be, websites, streaming, social networking and all manner of other fantastic resources become available to you when you plug in or get on wirelessly. There are, however, certain things that can get in the way of your internet experience. In this article, we will look at some of them to be able to understand what the barriers are to internet connectivity. We'll also, at the end, suggest some solutions and enhancements that may well improve your internet experience, especially if you have found that you have issues right now. You may have been told not to unplug your router in the first two weeks of connection. The reason for this is that your line will be trained, so that the internet service provider can ascertain what level of speed your connection can take whilst retaining stability. This period is called the training period, and you should expect some up and down performance as the line settles. If you plug and unplug, plug and unplug, then you will end up in a situation where the internet service provider thinks that your line is dropping and will, therefore, lower speeds to increase stability. You may think it's a good thing to turn your router off at night and turn it back on the morning, but when it comes to an internet connection, it is not. Your Wi-Fi router should be left on so that it can retain line connection all the time. The settling period should only take two weeks, so after that, your connection should be better. The location of your Wi-Fi router is important to your internet experience. If you put it in the cupboard or under the stairs, you may well find that you have trouble connecting wirelessly upstairs or in other parts of the house. This is because Wi-Fi signals must pass between the Wi-Fi router and the connecting device. If there are things in the way, then the signals must penetrate them. The position of your router should, therefore, be elevated and free from obstructions. In addition, you should ensure that your router is not close to any electrical devices such as fridges, microwave ovens and so on, as these can all interfere with the connection. It's a little-known fact that household devices can interfere with your Wi-Fi router signal. If you're experiencing a situation where your connection is totally unattainable - or intermittent during certain periods of the day - you may want to consider what devices are on at those times. For example, I used to notice that in the evenings, my internet connection completely dropped. We had a baby video monitor that we turned on in the evening, and it turned out that it worked on the same frequency range as the Wi-Fi router and, therefore, it made the internet inoperable during those times. The baby monitor rendered the Wi-Fi router completely useless. Some other culprits that people talk about in forums and other online groups include wireless boiler systems, radios and wireless audio control systems. If you notice that there is a clash between different devices, there are a number of options to resolve the issue, which we'll consider later. When there are lot of internet connections in the same air space, it can affect your connectivity adversely. 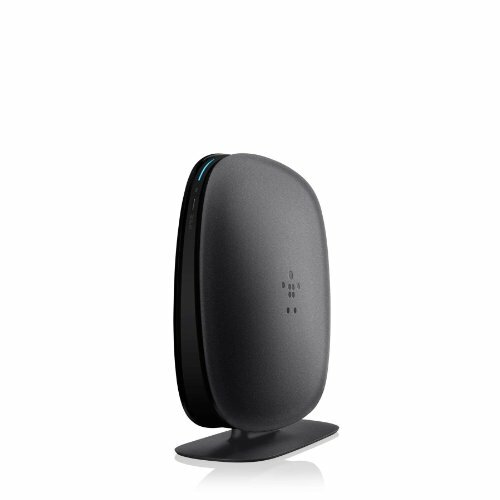 The air waves can get jammed and, therefore, it can become difficult to get online when you want to get on wirelessly. The solution to this issue is very similar to that for other electrical devices in your home. There are certain wireless routers that are available in the market which can change the frequency range that has been broadcast for your internet signal. If you're finding you're getting interference from devices in the home or from outside, it may be that you can upgrade your router and work on a different frequency. Some routers even offer the opportunity to switch between different bands so that you can work at different frequencies at different times. There's a new BT router for BT Broadband being advertised on TV at the moment that is dual band, and it comes as standard with your internet package. Premium routers are not that expensive, and you can get one for between £50 and £100 that will do an admirable job of bypassing wireless problems in most cases. HomePlug systems operate over the electric circuit that powers your home. The HomePlug system will involve plugs that are installed in sockets around your home and offer the opportunity to plug in Ethernet cables so that you can connect with Ethernet cables in rooms where you have problems connecting wirelessly. The challenge with this system is that if you have a split mains circuit, the connection won't be able to run around fully, and you may not be able to get online where you want to. HomePlug systems are relatively cheap, so they are accessible if you want to try this option. Sometimes, the issue with your broadband can be solved by simply buying a repeater. A repeater is placed in between your target connection device and the Wi-Fi router in order to boost the signal between the two. For example, you could put the Wi-Fi router at the bottom of the stairs near the main telephone socket and the repeater at the top of the stairs within line of sight. Then the repeater would pass the internet connection around the upstairs of the house with less obstructions and interference. With a repeater, you can double the range of your internet connectivity. It's worth noting that the house itself can get in the way of your internet signal. If you have dense walls and thick ceilings - as do the many older houses in the UK - you may end up struggling to get online around your home. Indeed, many older houses have chicken wire placed within the walls in order to hold the materials together, and this can form a blanket shield that makes the wall impenetrable to mobile or fixed line Wi-Fi broadband. There's not a lot that you can do about this, and the rooms on the other side will be shielded from the broadband signal. One of the easiest solutions to all Wi-Fi router wireless problems is just to plug in through your internet socket. Most routers nowadays have three or four Ethernet socket, so you could get cables run to different parts of your house in order to get online in different rooms. The cables are quite chunky and, therefore, this could be quite unsightly; but if you do a good job of pinning them down, you could run a cable to the main parts of your house, leaving a bit of wire free at the connection end in order to be able to have some flexibility to move around in the room - but just make sure you don't make it too messy.